We are the one and only Medinah Motor Corps. a motorcycle precision drill team and a parade unit of the Medinah Shrine Center in Addison, Illinois. We perform on White Ultra Classic-Shrine Edition Harley-Davidson Motorcycles and have been pleasing audiences since 1955 ! We have been in commercials viewed in the Chicagoland area and also were extras in the movie “Hero” starring Dustin Hoffman, Geena Davis, and Andy Garcia. We also have appeared in many exhibitions and regularly performed our maneuvers in downtown Chicago parades and throughout the surrounding suburbs including Elmhurst, Naperville, Bartlett, Elgin, Villa Park, Morton Grove, Skokie and Zion – just to name a few! On the first Sunday of each December, you might also be interested to know that many of Santa’s Elves at the head of the world famous Chicagoland “Toys For Tots Parade” are also members of our organization! Our competition team dominates routines not only in Illinois, but also across the country, while winning numerous awards and trophies. Check the CALENDAR on this page for upcoming events. Check back frequently as new events are regularly added. Our mission is to bring visibility to and promote the Medinah Shriners and Shriners International Hospitals to the general public through our parades and competitions. The Shrine organization, with 194 temples (chapters) across the United States, Canada, Germany, Mexico, the Philippines, Puerto Rico and the Republic of Panama supports a network of 22 Shrine Hospitals for Children where children receive quality orthopedic, spine, burn and cleft palate medical treatment; all care and services are provided regardless of the patients' or families' ability to pay – the “worlds greatest philanthropy”. 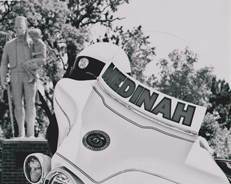 In addition to promoting visibility of the Shrine and encouraging new members to join our organization, the Medinah Motor Corps. has directly raised money to fund specific programs or projects for the Chicago hospital. In the past, this has included items such as purchase of sports wheelchairs for the kids and purchase of a specially designed playhouse area that can accommodate all the needs of our children, including those who are wheelchair bound. This year, a portion of the net proceeds generated by our events will be given to the Shriners Transportation Fund. This fund helps offset the travel costs incurred by the kids and their families to visit the Hospitals when receiving medical care. Supporting Medinah Motor Corps, while not tax deductible, does help promote the Shriners in general and ultimately the Shrine Hospitals for Children. As a member of the general public you are also welcome to make a contribution directly to the hospitals, which would be tax deductible. We urge you, if you have never had the chance to see our Chicago facility, to please do so. Our Shrine Hospital is located at 2211 N. Oak Park Avenue in Chicago, IL. There have been many exciting changes and updates going on there including the addition of a new patient wing and a new therapy pool, to name a few. 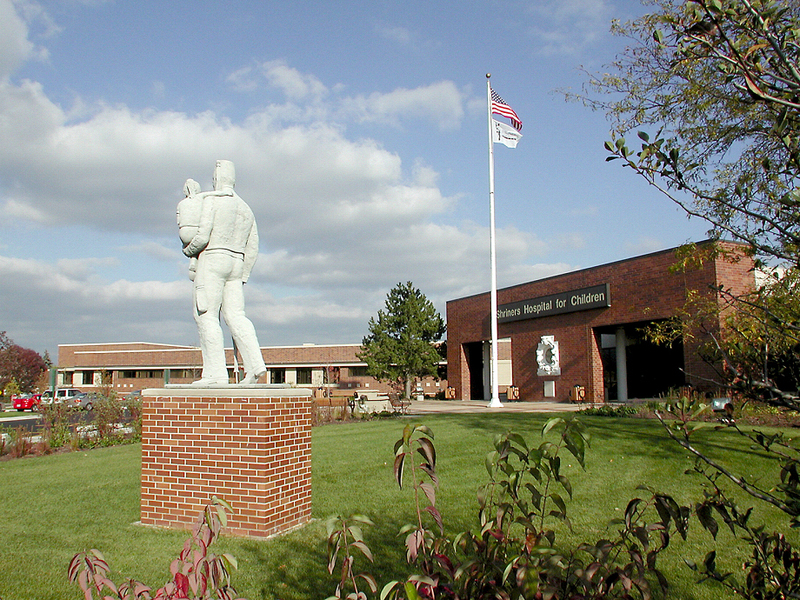 You can drop by any time and take a tour of the facility. It is something we, as Shriners, are all very proud of. Please join us, everyone is welcome to visit and see what we are all about. We are an all-volunteer group of approximately 35 members from different walks of life who ride together for the ultimate purpose of helping children enjoy a better quality of life. If you share our interests, please contact us. If you already own and regularly ride a heavy weight motorcycle, but aren’t sure if you are quite ready to ride in parades and competitions, contact us anyway – if you have the determination and commitment to practice – we can coach you on how to ride better and help you build your skills. We practice most Tuesday evenings from April through November in the parking lot at the Medinah Shrine Center in Addison. You are welcome to come and watch.